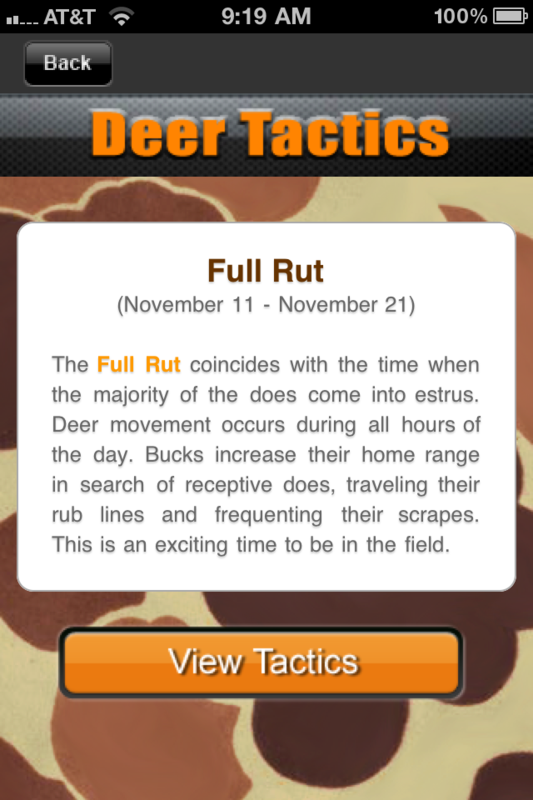 Deer Calls & Tactics Pro iPhone App puts all the deer hunting info you need right in the palm of your hand. 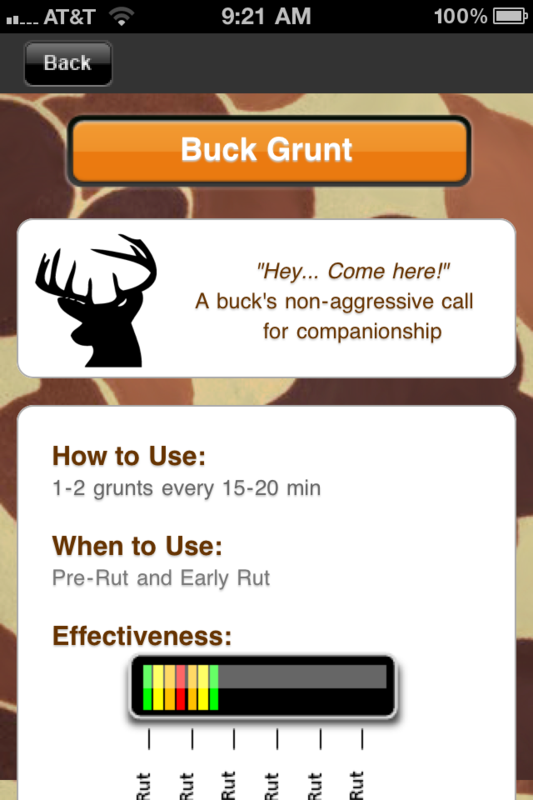 Designed with the Texas deer hunter in mind, this app will help make your next hunt a successful one. To download clink on the iTunes or Android Market button below. 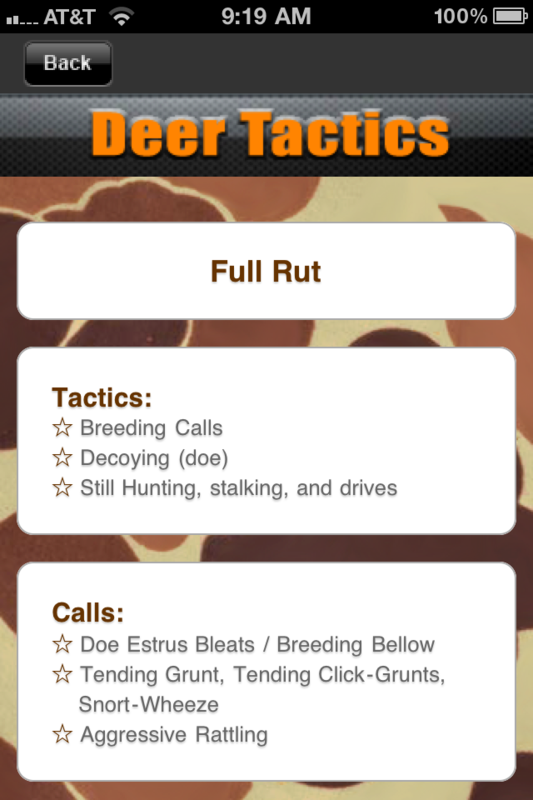 Deer Calls & Tactics Pro is the most comprehensive collection of deer calls and deer sounds available on the iPhone. 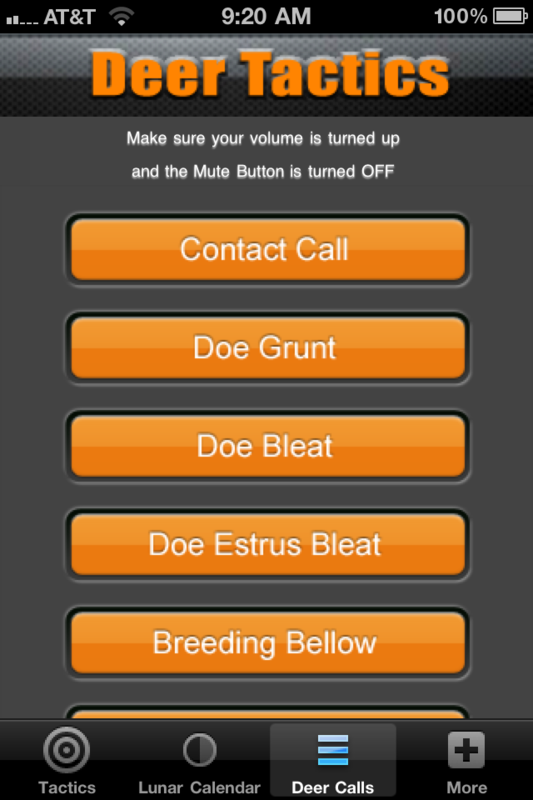 Deer Tactics provides you with tips on how and when to use each of the deer calls to maximize your chance of a successful hunt. Download it today and be ready this season!